I’m On a Superyacht in Spandex!!! Here’s Kylie Jenner covering up and staying modest in Miami and … JUST KIDDING, LOOK AT HER CURVES IN BLACK SPANDEX!!! There’s no doubt about it, MILFdom looks better than ever on KJ, who showed off all her assets while chilling on Miami mogul David Grutman‘s 82-foot luxury yacht. Yeah, it’s that big. 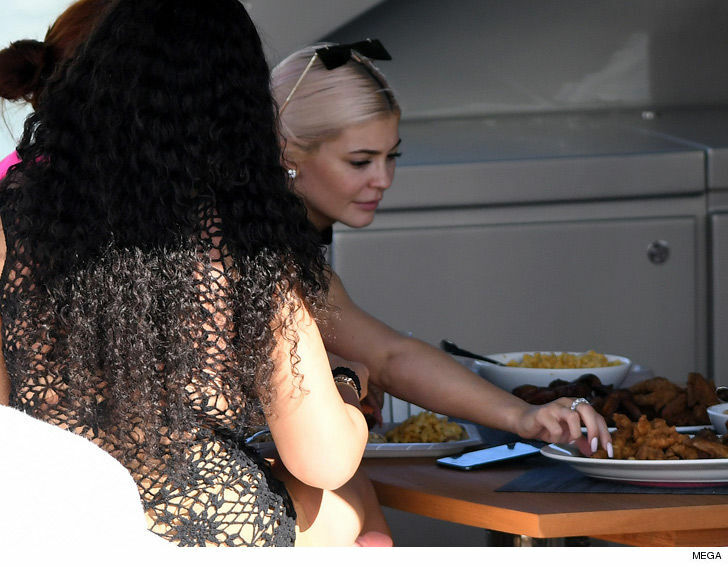 Kylie made sure to feed her booty with some chicken wings. And, it looks like Kylie wasn’t in the mood for one of her new fav foods … cereal WITH milk. Kylie and Jordyn have been living it up in Miami, hitting up Komodo and LIV over the weekend before some #MondayFunday on the water. But, you’re here for the spandex, so don’t let us keep you waiting. Go ahead and click through.